The Local Marketing Solutions Group has just achieved the Local Search Association Certification for trust, security and best practices in SMB marketing. 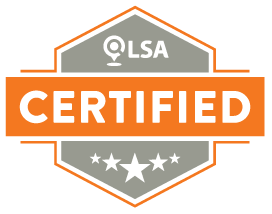 The LSA Certification was created to help SMB marketing providers and MarTech companies stand out and promote trust between buyers and sellers. Companies that earn LSA Certification follow ethical business practices and have passed a robust review process.